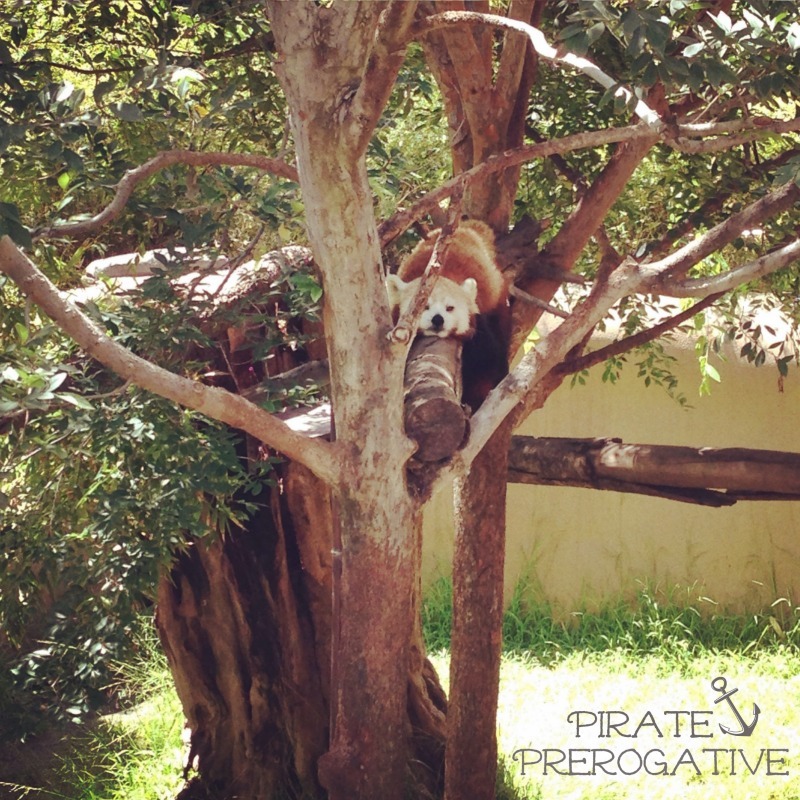 Pirate Prerogative: Pandas Are Cute. Look at the Pandas. I'm not going to lie, I thought it was Wednesday and I could get away with a Wordless Wednesday post. I'm getting pretty over this 30 days of blogging every damn day. Although I like blogging and the challenge to keep it up, sometimes I'm tired don't have any idea what to say. 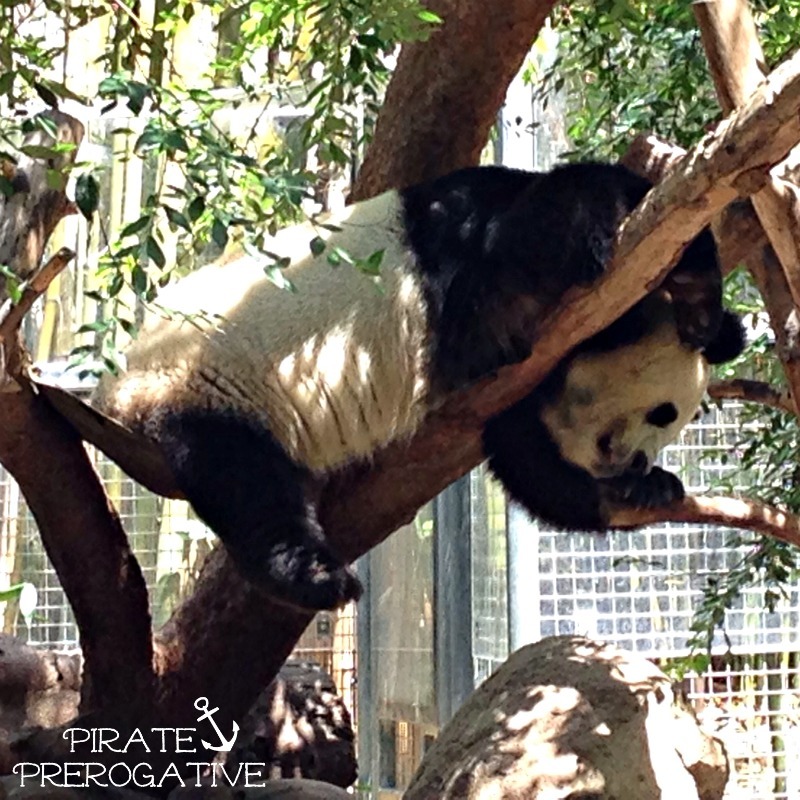 So, I'm not gong to say much, I'm just going to share these adorable and cute photos of animals from a recent trip to the San Diego Zoo. 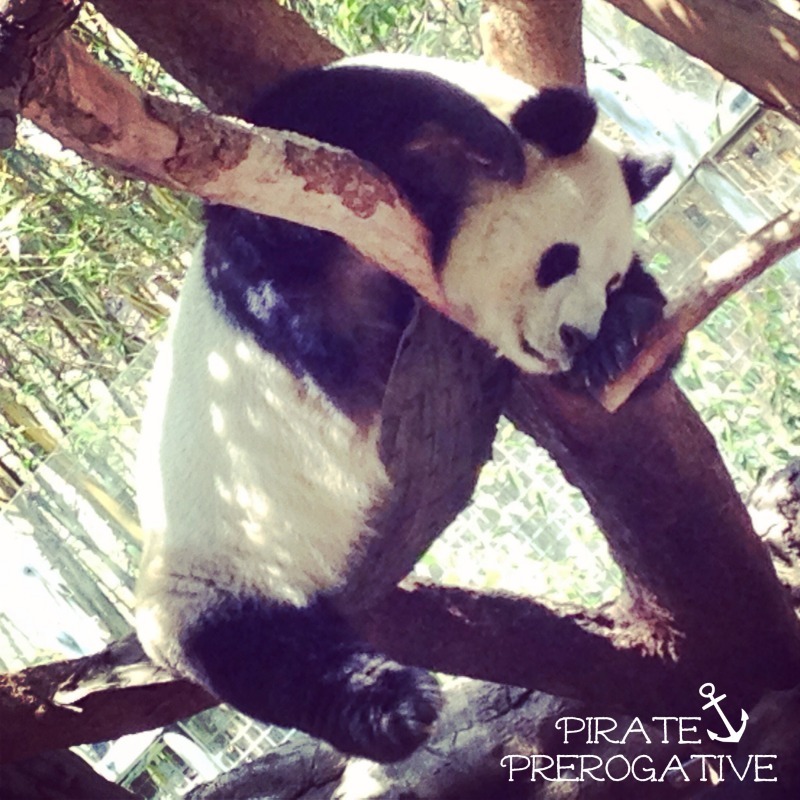 Also, if you want lots of likes on Instagram, apparently you post a Panda picture. People are all about those Chinese Bears. 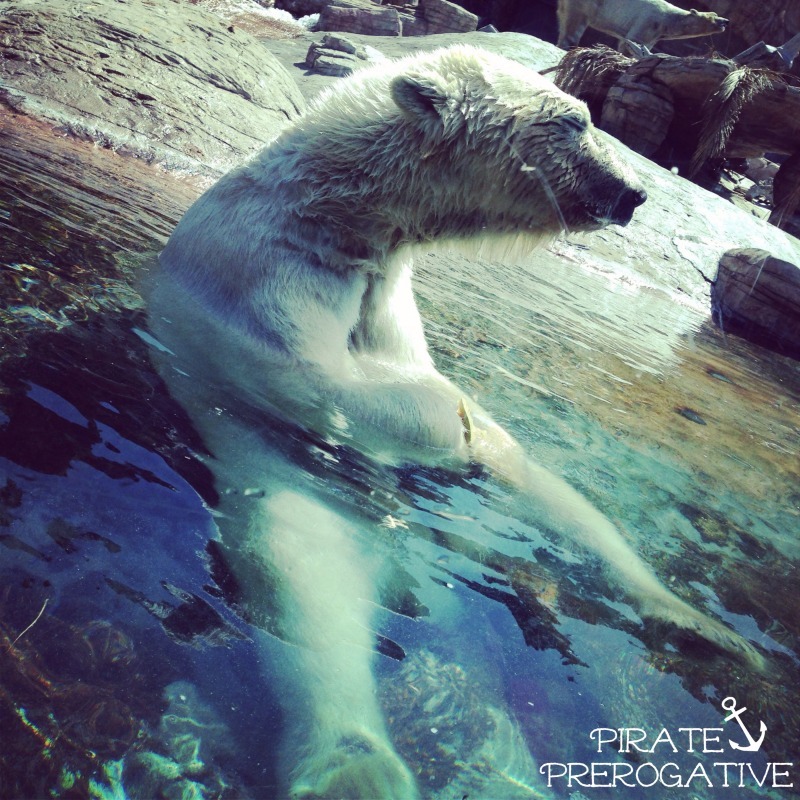 This Polar Bear was just sitting in the water eating her cantaloupe. Bai Yun, the Momma Panda. Sound asleep in a tree. It wasn't all bears. There were also some less cuddly creatures too. These turtles were pretty neat. The snake neck ones are a little odd looking, but cool. 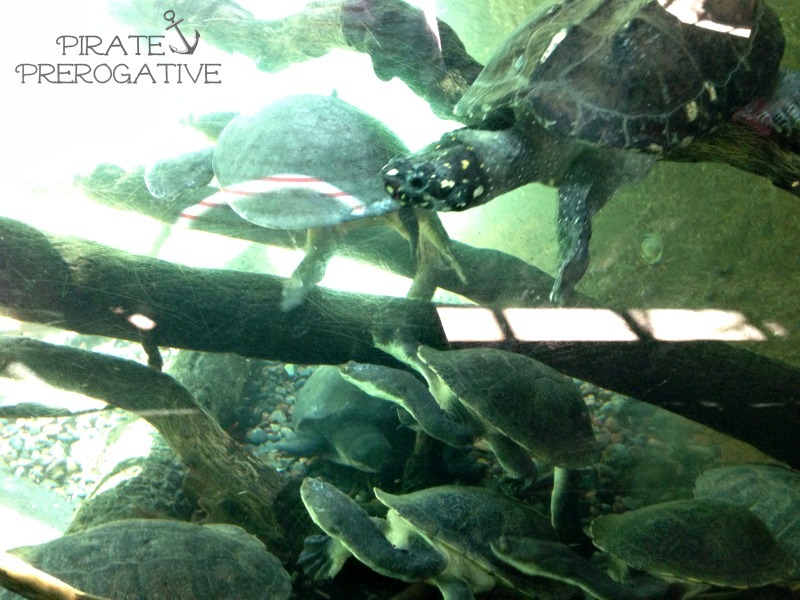 A ton of turtles swimming. I had never heard of a Gharial before. 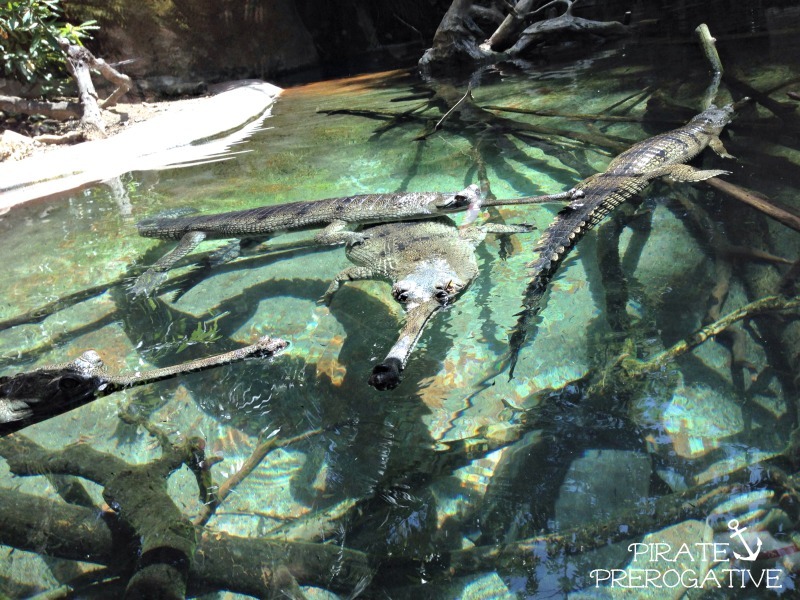 They look like crazy crocodiles, and they are really interesting. 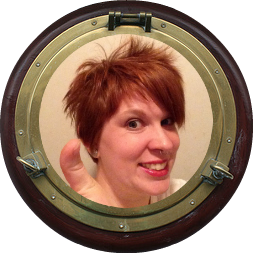 The First Mate loved them. 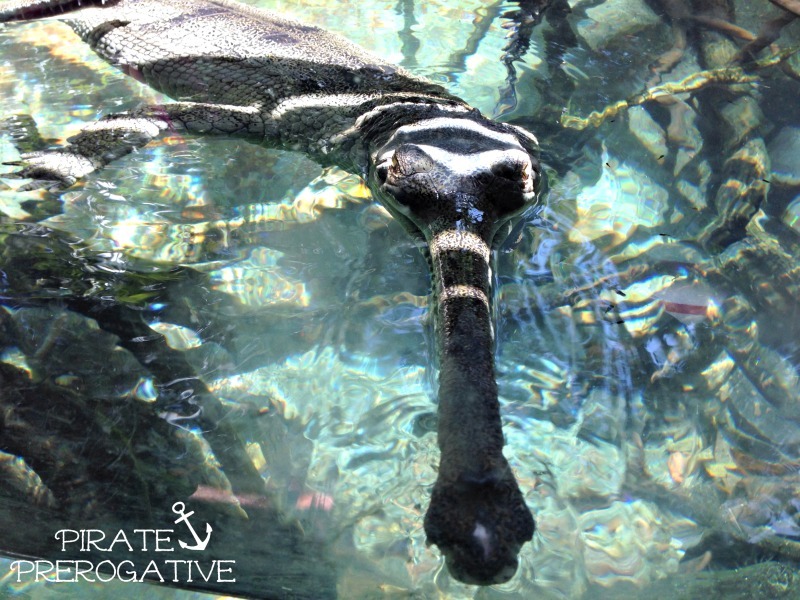 This Gharial is pretty cool. 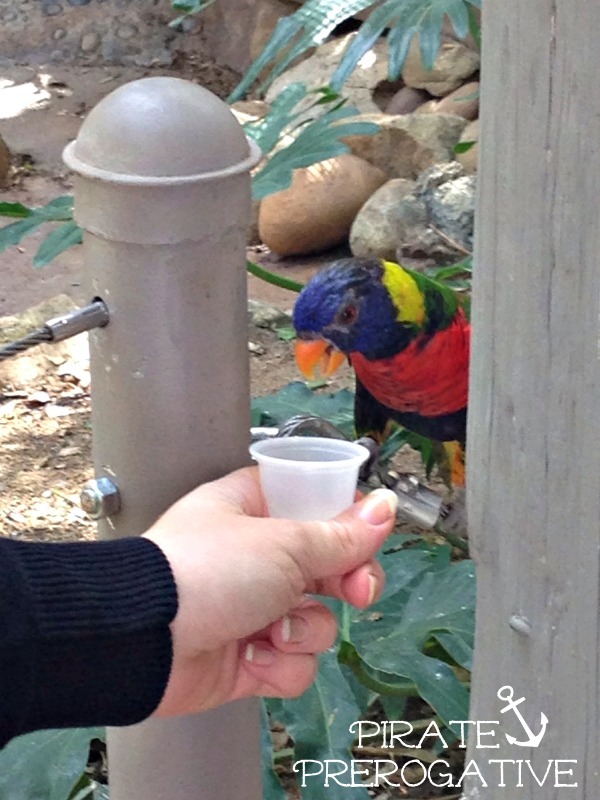 One of our favorite places to visit at the Safari Park is Lorikeet Landing. You can feed these colorful birds with small cups of nectar. Sometimes they will all flock to you and land on your body. It's a blast, but you may get pooped on, so be prepared. 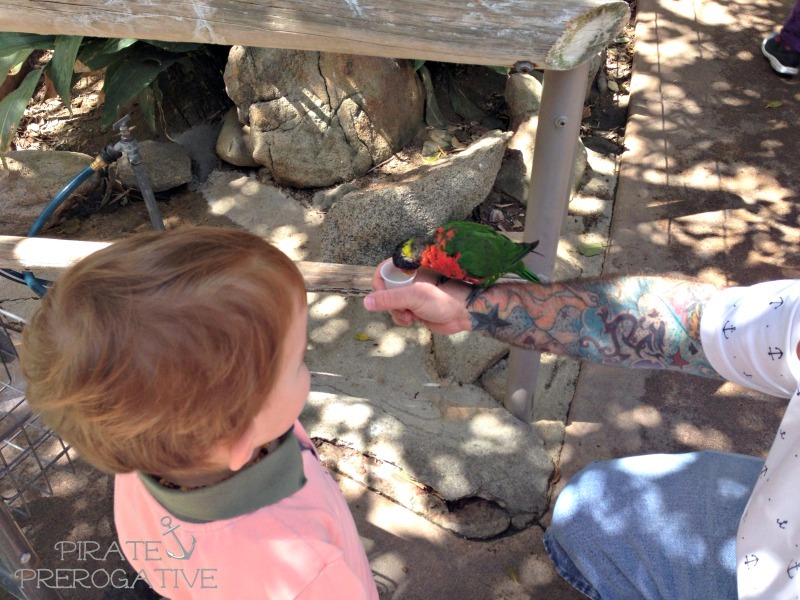 Feeding a Lorikeet some nectar. The Captain feeding a Lorikeet while The First Mate stares in awe.